I called my girls gang & said,” Girls, be ready for today because parents are not at home. It’s our night girls! Yo! 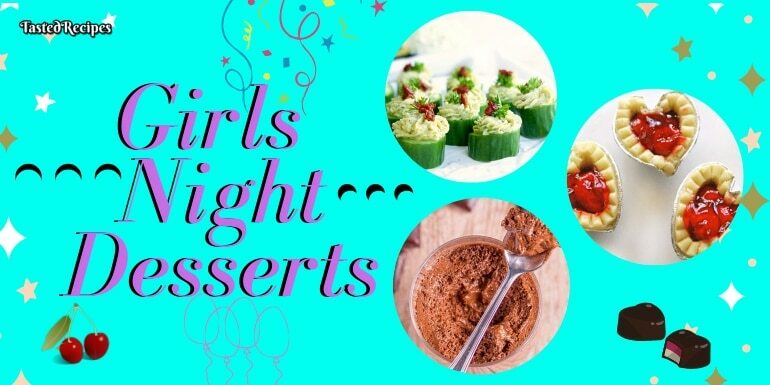 I am giving you 18 dessert recipes to make your girls night bang. That is how I plan often when parents are not at home. Great ya! What do you plan for your girls? Can you all share with me? I will tell you all my plans! Some yummy plans! Where there is no food, there is no party happening. After all the tussle, I decided this time I need to do something special for my girls. So what I can cook? At midnight? What? What? And suddenly I got the whole checklist after searching on the Internet of course. 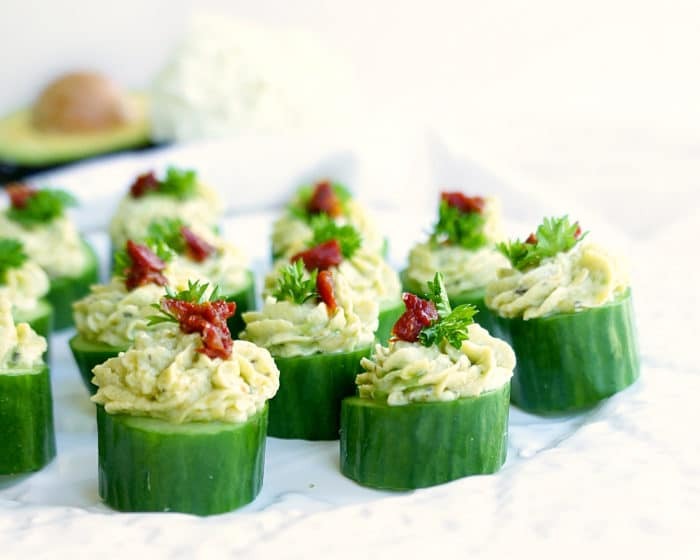 By the way, these recipes are hand-curated recipes only for my lovely readers. Let me help you with the checklist that you can easily check out & make your girls smile. 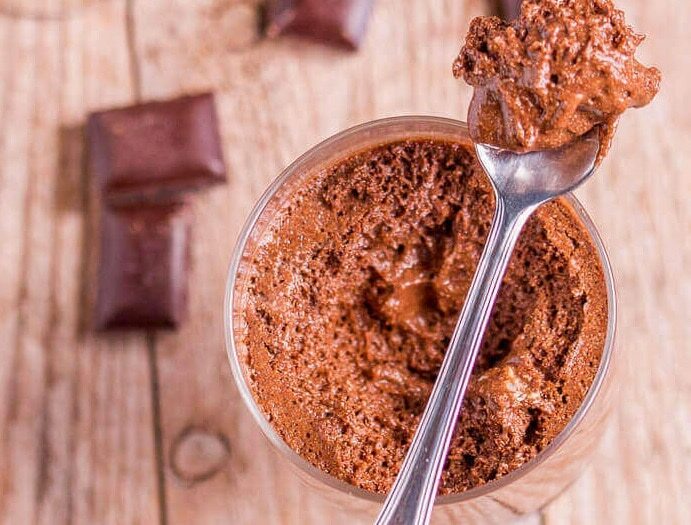 You are going to become a superwoman after these 10 minutes of dessert recipes. Starting your food with like Maggi, or noodles & mocktails, Why don’t you try 2-3 ingredient desserts? Click the image for full recipes. This is so likeable that you & your gang will feel going to the chocolate world. For me, this is chocolate meditation. This chocolate fondue is so easy to make. You don’t have to do anything. Buy a chocolate bar which has a high content of Cocoa because that chocolate tastes better. You can add butter into it instead of cream for thick smooth texture. And voila! It’s done. You can gather anything from your fridge and dip into the chocolate fondue pot or dish. You can dip fruits, ready-made brownies or dry fruits too. Very easy & so yummy! These adorable mini cupcakes are the just perfect bite for your parties and get-togethers. These are healthy, low calorie, vegetarian & gluten-free cupcakes. 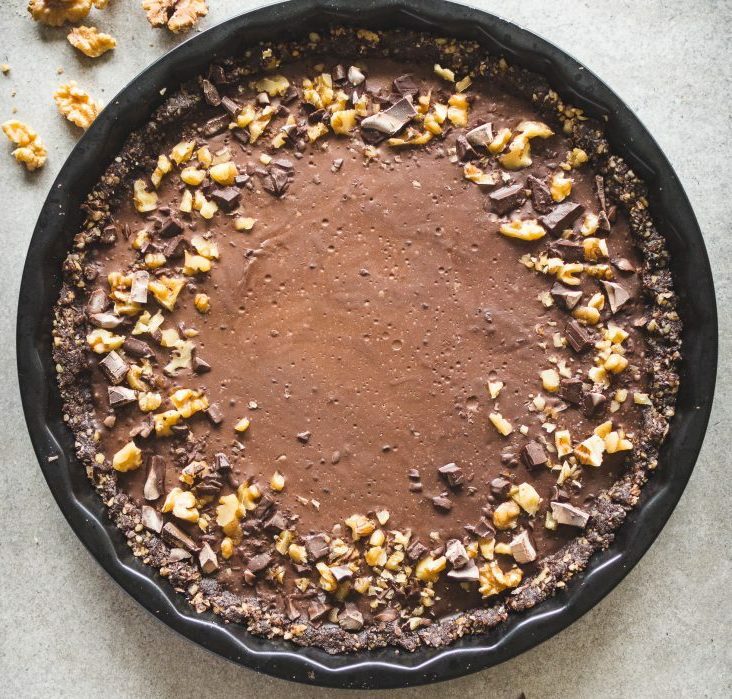 This will be a damn quick item you can make in your dessert plan. I advise you to use a high-quality chocolate bar or you can use milk chocolate bar too for better rich & smooth taste. You don’t have to do much in this. Check the recipe. 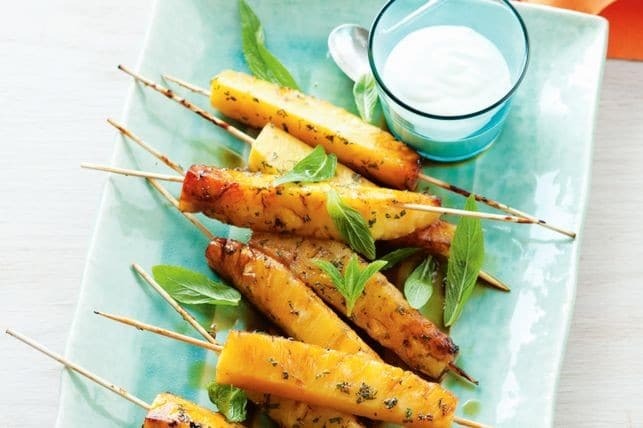 Caramelised Pineapple is an amazing dessert skewer recipe. It is so much fun eating during night time. Serving these marvellous skewers to your girls will make their mood swing double-time high. You don’t really need hard drinks to dazzle your night. Some quirky desserts are here to make you rock and roll. 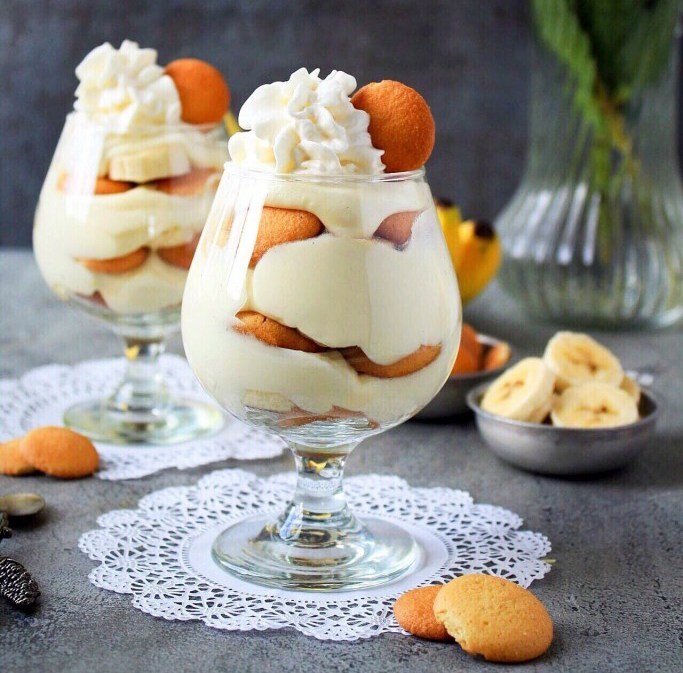 Banana pudding parfait is quick & easy layered dessert perfect for night stay plans. This is an amazing creamy, yummy parfait that will just blow your mind. It’s a strictly no-bake and no-cook recipe which is always a choice for girls especially during urgent times. The end result looks so good that your girls will feel special with such an attractive presentation. If you want to get a really easy recipe, then this two-ingredient white chocolate mousse is a charmer. It is surely going to win everybody’s heart. It has a very rich & creamy texture. 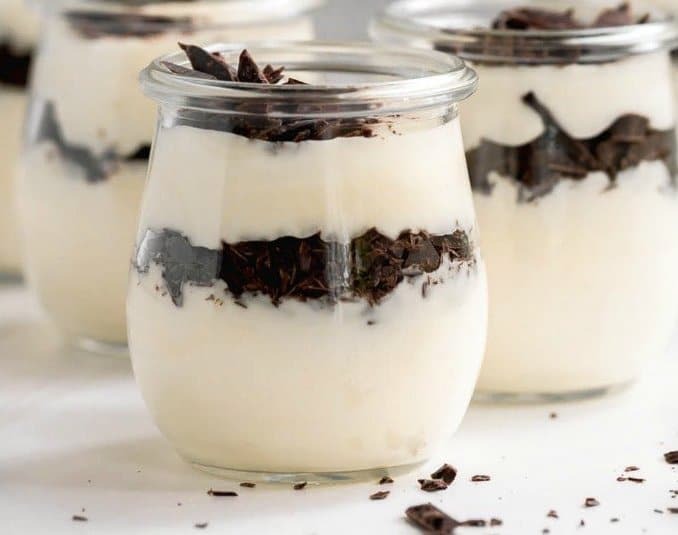 This has a layer of white chocolate mousse and mini chocolate chips make this an amazing recipe. A sweet treat to your lovely girlfriends and your naughty talks. While we are seeing this smoothie, only word; oomph! This is so lovely. You know how much girls like raspberries. 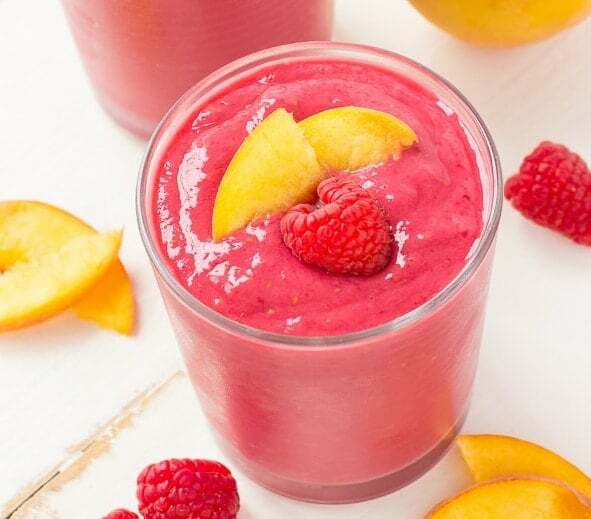 When you make this raspberry peach smoothie, you will feel the ultimate taste of divine. The smoothie has also Vanilla greek yoghurt added in it to give an ultimate texture. 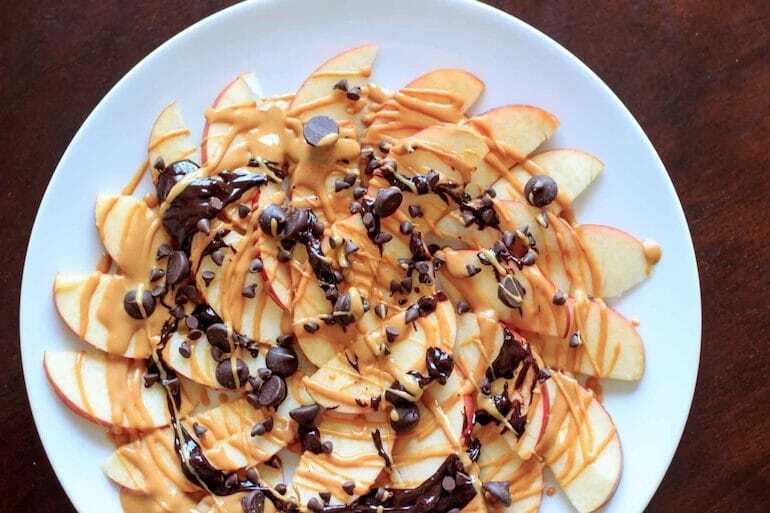 Apple Nachos with Peanut Butter & Chocolate is a 5-minute recipe & healthy as well. If your girls are health conscious, you can always offer them this fruity, protein base with chocolate flavour nachos. It’s vegan & completely gluten-free. It is a totally flexible recipe with any kind of apple you can use. This recipe is simply a mixture of coconut milk, coconut sugar & cocoa. It is a 15-minute dessert recipe with less effort & more fun. It is delicious than any other sweet crust. Trust us, this will taste more like chocolate. After all, happiness is always extra dessert, especially for girls. In life, sometimes shortcuts are necessary. And this one recipe is really short to cut one. Just get the fresh Raspberries from the market & enjoy the glamour of it. 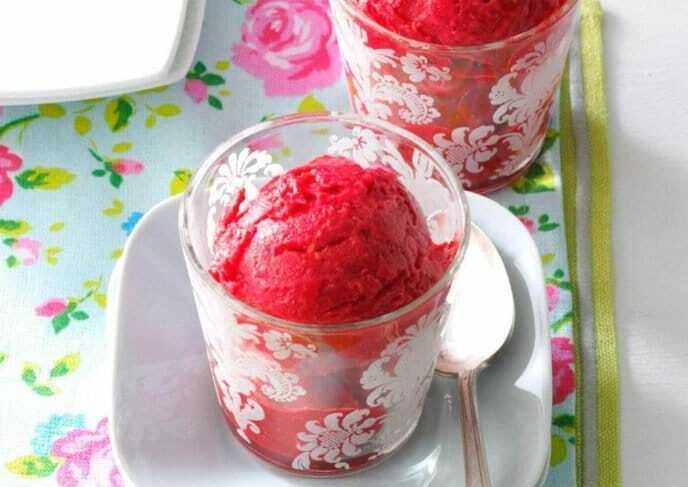 A refreshing dessert that has lot nutrition to provide. 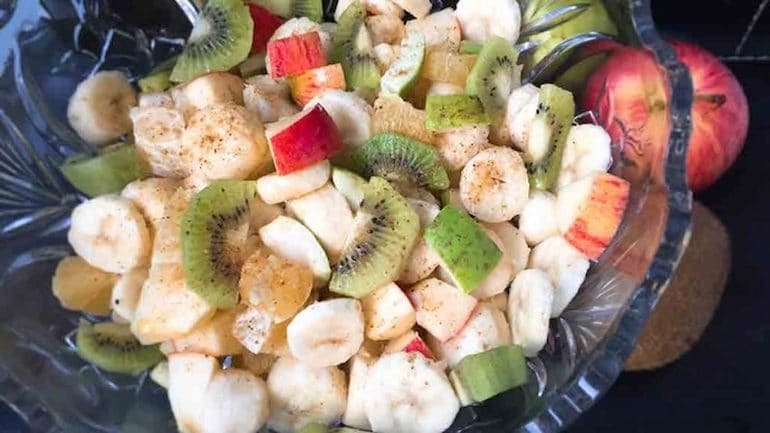 Fruit chaat stands for any time anywhere. It has lots of flavours to count. When you crave desserts, a good substitute for your cravings. Share this recipe with your girls and the very next night stay planning cover this delicious recipe. 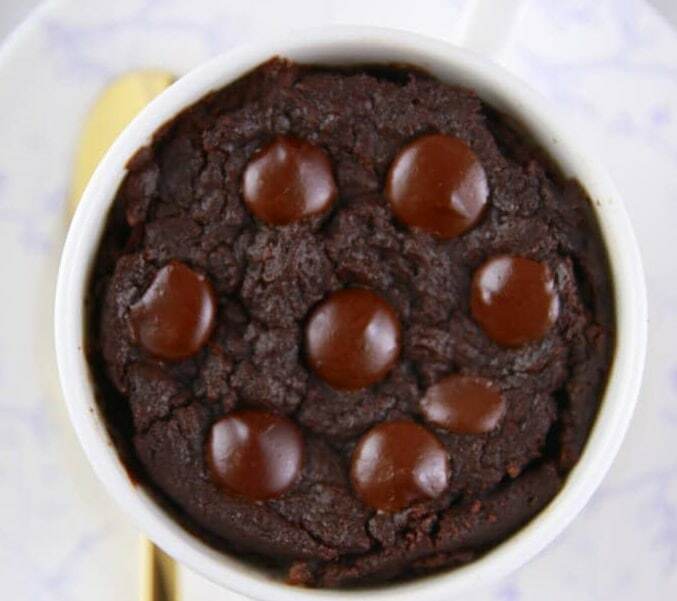 If your girls don’t like sharing their desserts, you can go for single serving brownie cup. It’s the fudgiest brownie ever you gonna have! Who wants Ice Cream. All-time favourite! All-time tasty! This recipe is kind of custard Ice cream. 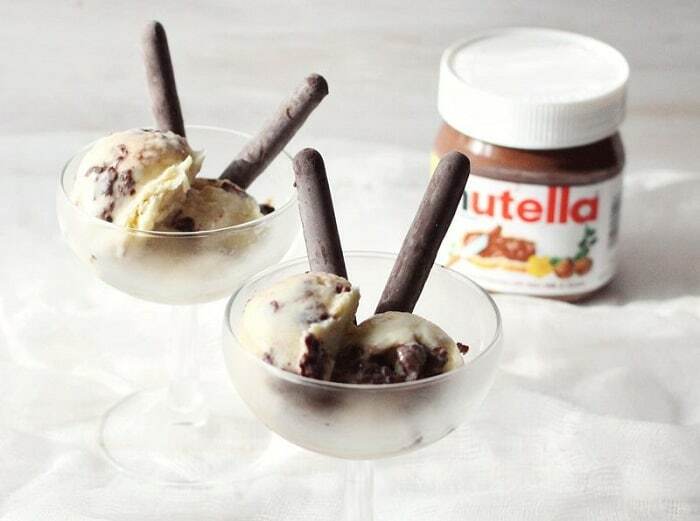 It’s a double divine recipe because first, you can add eggs & second you are adding Nutella for sure. Salty and chocolaty. Perfect description for this recipe. 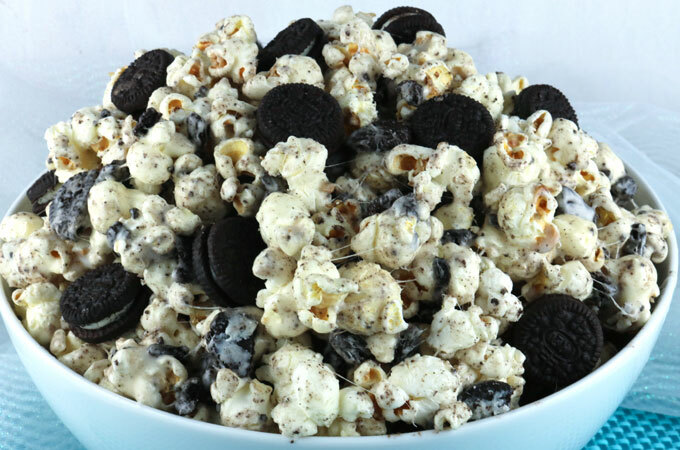 Salty popcorns covered in marshmallow and mixed with oreo cookies. yey! Delish treat! 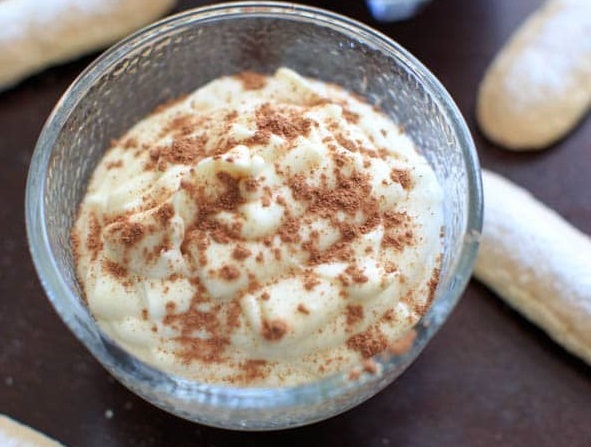 Your girls night will go a crazy treat with this tiramisu dip. This dip is made from Mascarpone cheese, vanilla extract, whip cream & powdered sugar. I know it has some more ingredient but trust me, girls are going to sign up for this every time you through girls night party. 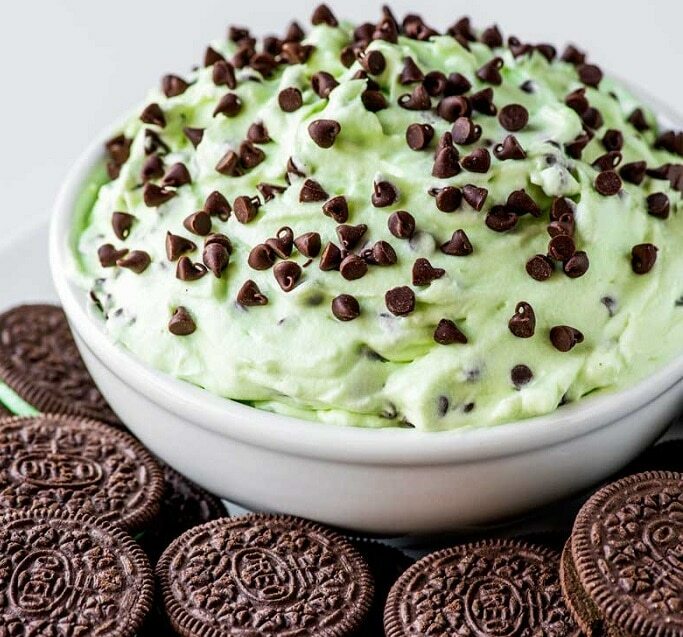 If you know, Oreo cookies now with mint flavour too! This recipes straightly goes to the Oreo discovery credit. If your girls like peppermint flavour than this one is the ultra creamy minty solution for them. This one will talk about the love and friendship between you girls. Heart shapes are loved by girls so much. 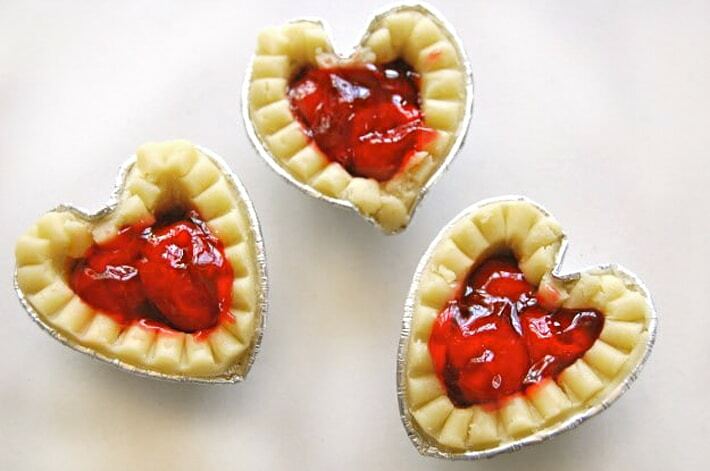 These tarts will create a lovely atmosphere for you all. Cute recipe for the bond you share with each other! As hatke as the name, hatke is the recipe. 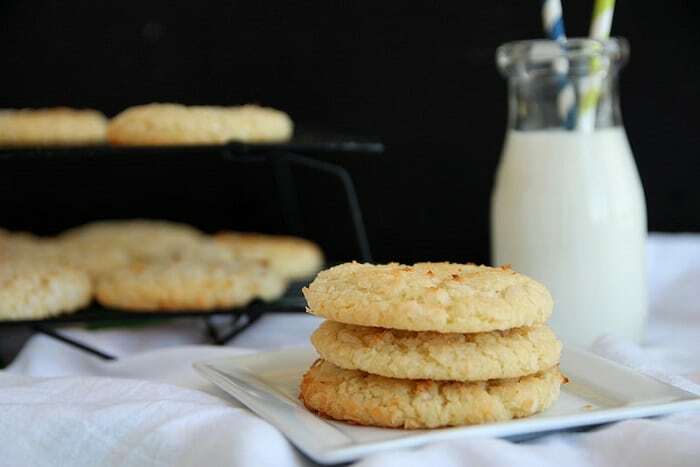 I can only say these cookies are made of coconut and for rest, check out the recipe. So how was it? Good? Can’t resist? Me too! I am sure from now onwards your girls night will be thrilling with these divines. Do not forget to share your night dessert in the comment section. By the way, Tasted recipe team is also thinking to throw only girls night party! The menu will be great! Sign up if anyone interested. And the party will be outdoors! So you or I don’t have to send parents home away! See ya with new recipes coming soon!